This is a carte-de-visite of Louis A. Myers who lived in Valley Falls, Kansas. 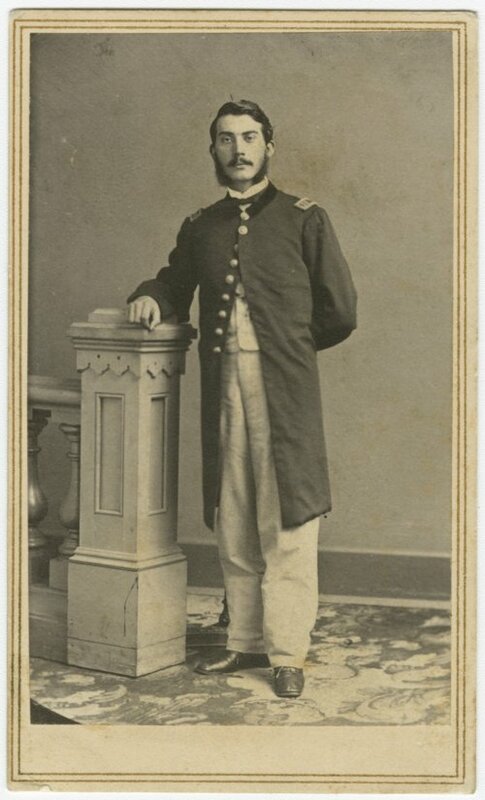 This photograph was taken during the Civil War when he was Captain of Company B, 6th West Virginia Cavalry. Myers later served in the Kansas State Senate, a Republican, representing District 5, serving from 1877-1879. From 1883-1884, he served in the Kansas House of Representatives, a Republican, representing District 7.